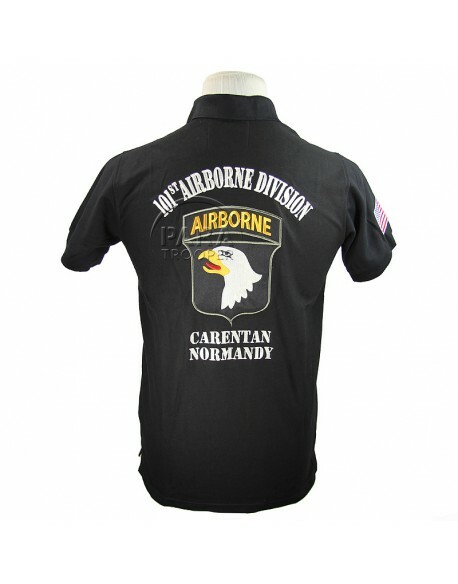 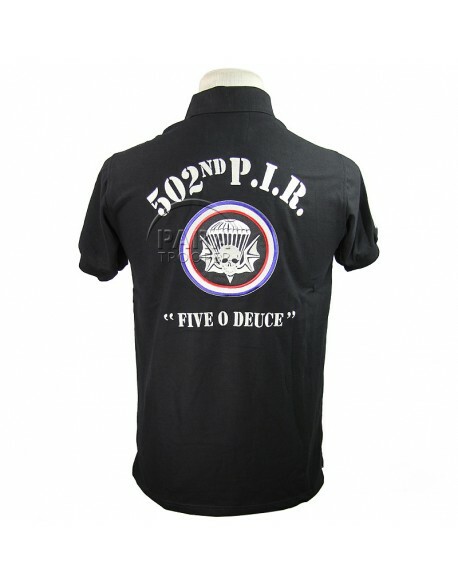 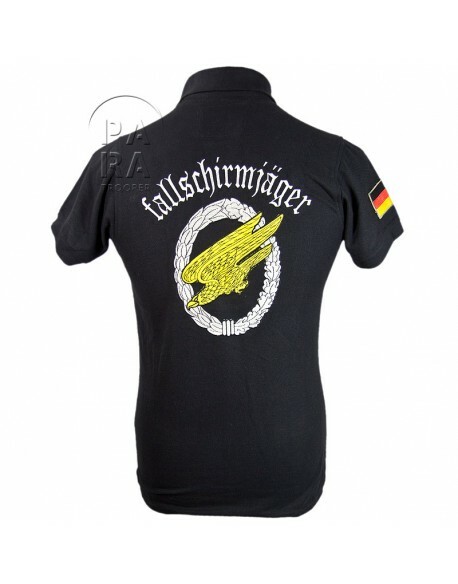 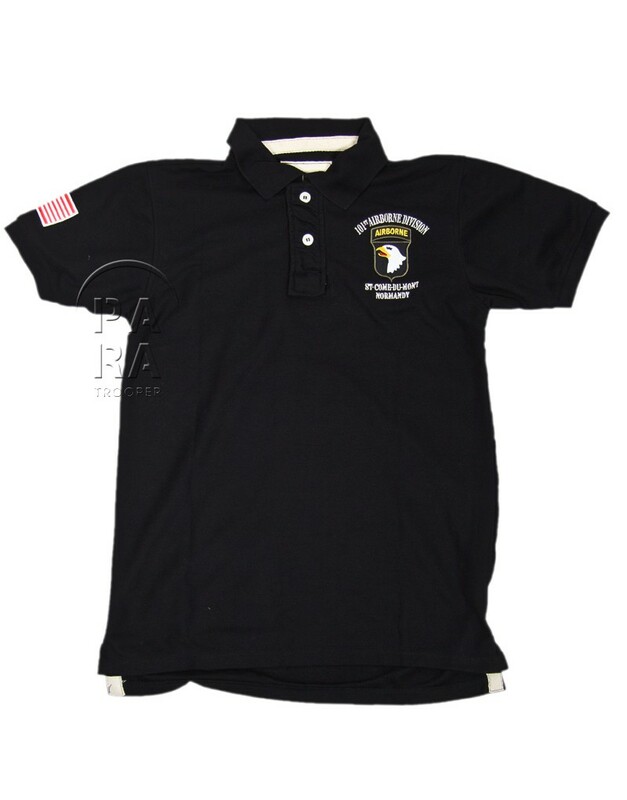 Short sleeve pique polo, black, with embroidered badge and names Saint-Côme-du-Mont Normandy, on chest and on back. 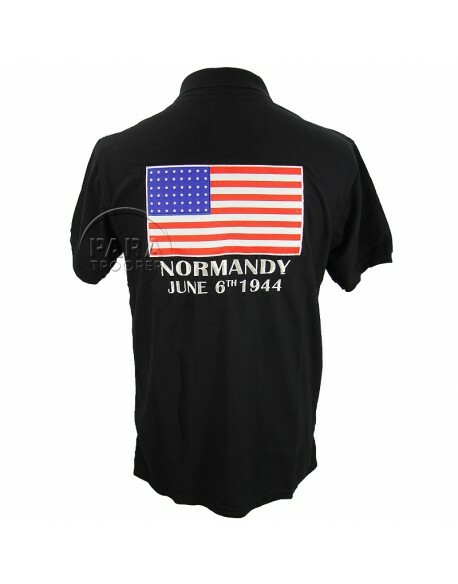 US flag on sleeve. 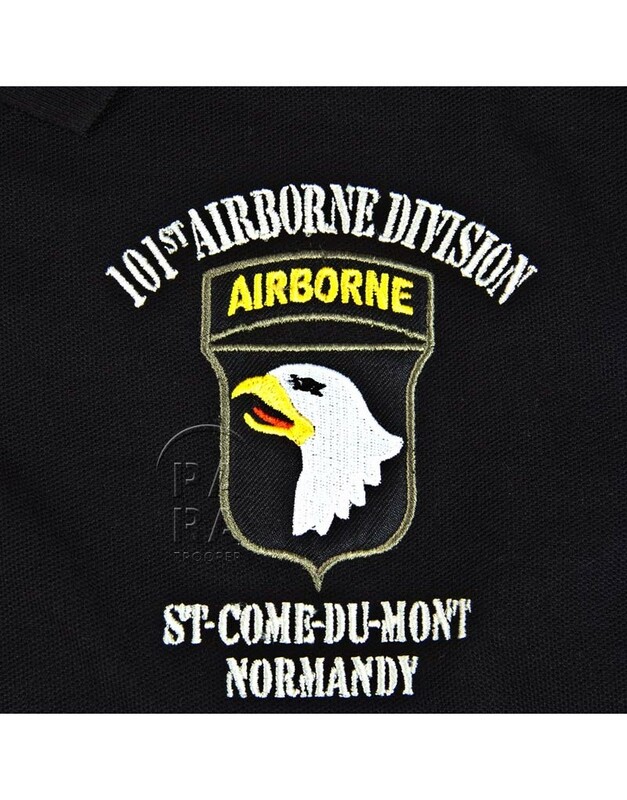 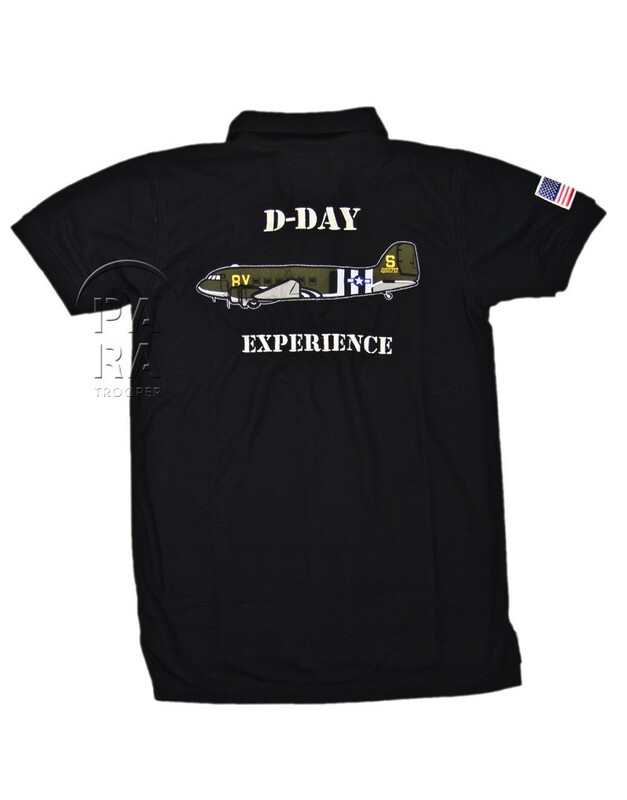 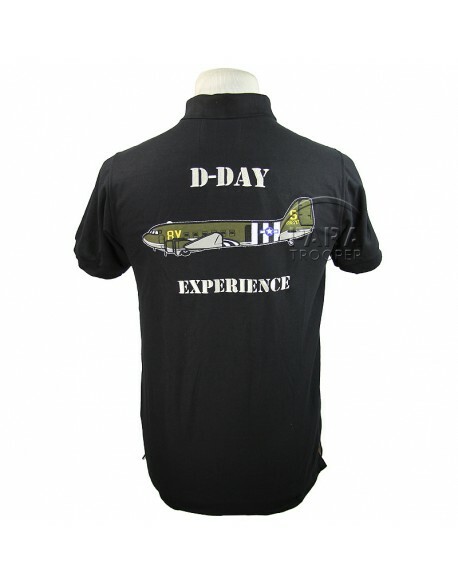 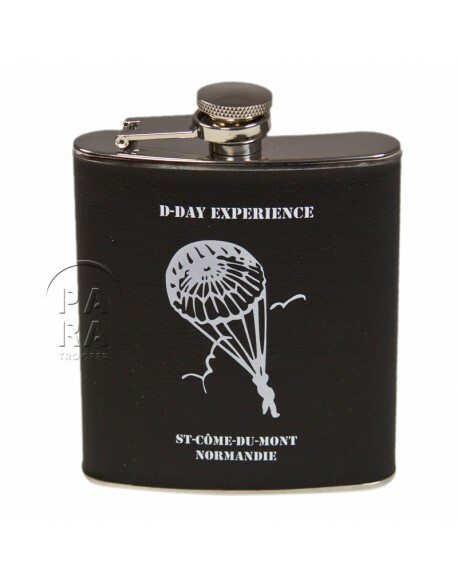 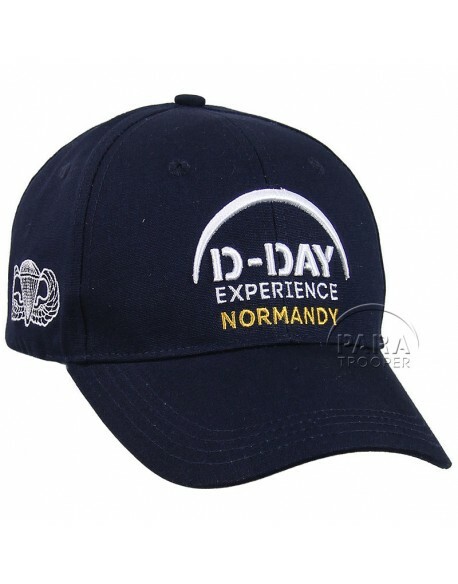 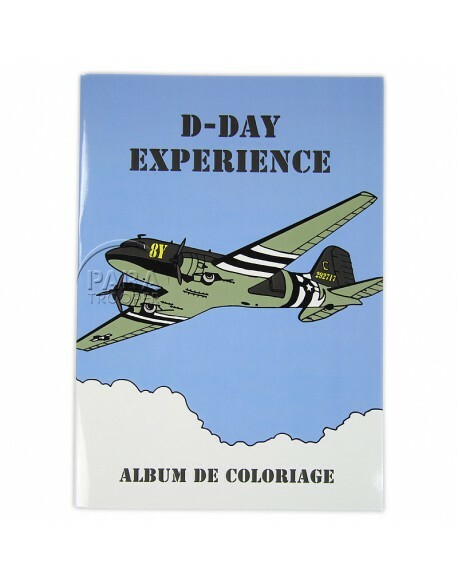 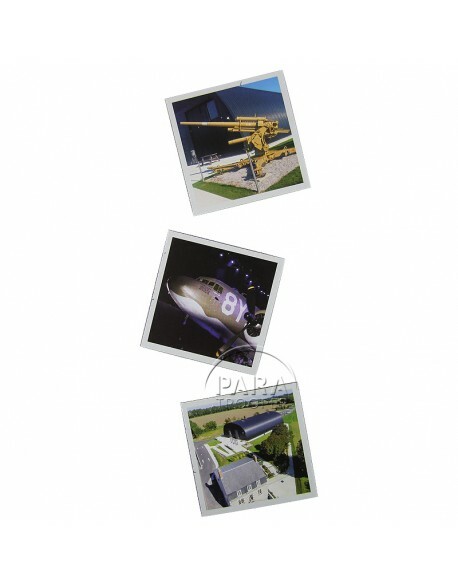 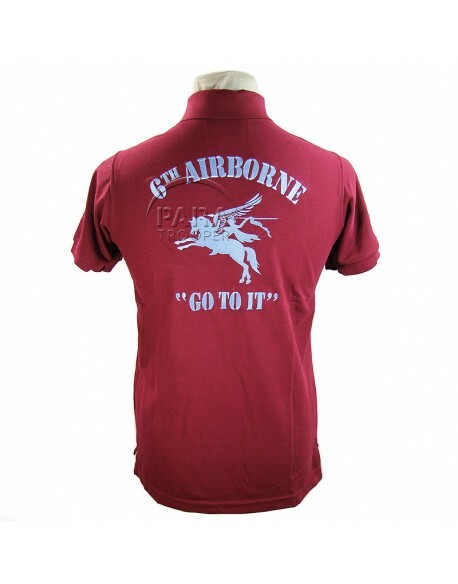 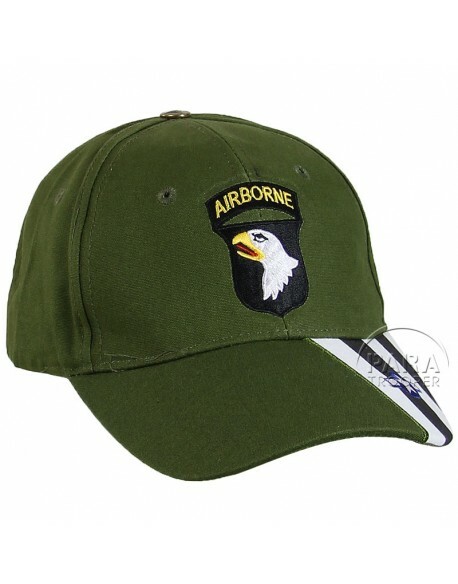 Exclusively available at D-Day Experience Museum, Saint-Côme-du-Mont. 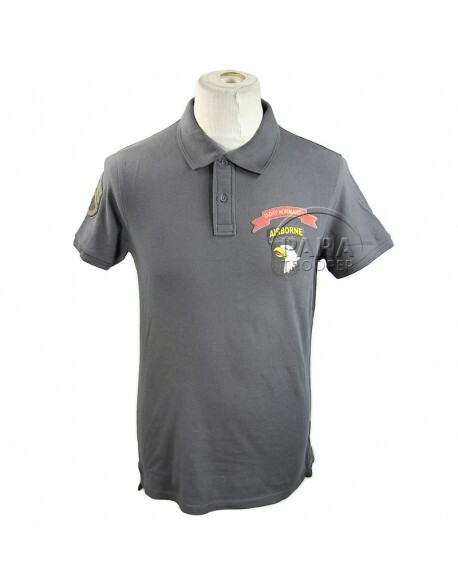 Polo, woman, black, We Can Do It!